Auto Motor und Sport is reporting on a future BMW i9 due to launch in 2016. In the same very year, BMW is celebrating 100 years. 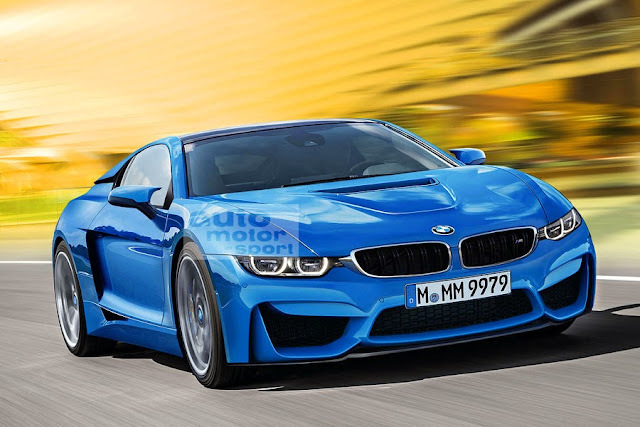 BMW i9 would be based off the i8 hybrid sports car with more power and a beefier appearance. Still featuring a plug-in hybrid, the BMW i9 is said to forgo the 1.5 liter three-cylinder engine in favor for a larger one and with more power. Furthermore, the i9 would also get a bigger electric battery which will generate more than the 131 hp found in the i8. Lightweight materials and construction remain top priorities for BMW so if it comes to life, expect the i9 to feature even more carbon fiber and aluminum parts. The BMW i9 is rumored to run 0 to 100km/h in under 4 seconds and with a top speed above 155 mph.